Hello, my name is Joel Gonzalez and welcome to my website. 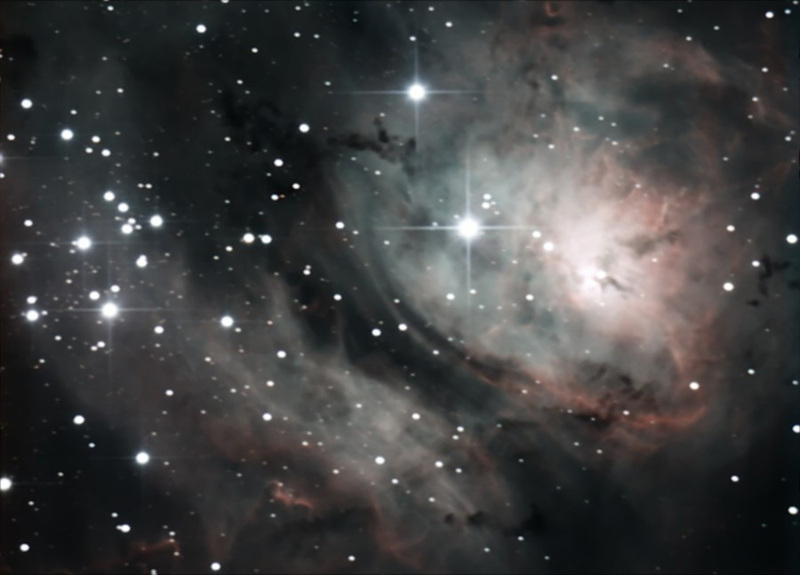 This website is dedicated to the art of astrophotography with a sprinkling of other astronomy related subjects. I will be the first one to tell you that I don’t do this hobby justice. From my experience I have found that quite literally the sky is the limit when it comes to astrophotography. The inherent difficulty of astrophotography would imply that expensive equipment is needed to achieve good results. Ultimately, how much you end up spending depends on how far you want to go with this hobby. Nevertheless, I have discovered that it is possible to take stunningly beautiful pictures of celestial objects with very modest equipment.Before I get ahead of myself I would like to share how I got into this hobby. At age fourteen I was given a used Jason refractor (800mm focal length) with a chipped main lens by my aunt. My aunt saw how intrigued I was with the thing and just gave it to me. I spent countless hours star gazing with my small telescope and also started delving into astrophotography with an old Fujica ST-701 35mm SLR camera. I had no motorized mount at the time so all of my astrophotos were of star trails. Nevertheless, these early exercises taught me a great deal about photography in general and the effects of exposure times in particular. I had a fourteen year hiatus from astronomy, but around early December 2006 I purchased a Meade DS-2114ATS-TC reflector. The primary reason behind this purchase was renewed dreams of astrophotography. Although this telescope got my feet wet again in astrophotography it was not adequate for the job. So in February of 2011 I finally purchased my dream setup. It consist of an Orion 8″ Newtonian reflector, 80mm Meade refractor for guiding and an Orion Atlas EQ-G mount. A few of my first light images using this new setup can be seen on this page. I began my first astrophotography attempts using the DS114 telescope and the very same 35mm camera I used fourteen years ago. I purchased a Meade camera adaptor and preceded to take numerous photos all of which were unsuccessful. Needless to say, I was very disappointed. I was having numerous problems from focusing issues, exposure time issues, to motorized mount tracking issues. If you experience problems with any of these you will not get good results. Well, I was having problems with all of them and then some!Then I began to come across numerous websites where others were using webcams and special software with astounding results. I modified an old Creative webcam so it would attach to the focal tube of my telescope and tried my luck with this new approach. I had some initial success with photographing the Moon and Saturn, albeit not great success. The most important lesson I learned from this early testing was that by using a webcam and software it is possible to control star trailing to a certain extent. With my 35mm camera any movement of the telescope while the shutter was open translated into a hideous star trail which was additive so long as the shutter stayed open. On the other hand, with a webcam and software one can take many shorter exposures and then integrate them via software minimizing star trailing to a great degree. I then came across the great work done by Martin Burri on the Logitech QuckCam Pro 3000. Martin was able to modify this webcam for long exposures by using a similar technique invented by Steve Chambers and his colleagues at QCUAG. I immediately purchased one of these webcams from eBay and performed the long exposure modification by following Martin’s directions found here. I am now using an Orion StarShoot Pro Color as primary and a Meade DSI Pro monochrome CCD camera for guiding. As effective as the Logitech QC Pro 3000 is with the long exposure modification, it’s still not very sensitive. Basically, the exposure times needed to bring out detail in some deep sky objects can become problematic at times. Things like amp glow and noise tend to put a limit on how long of an expose one can take. 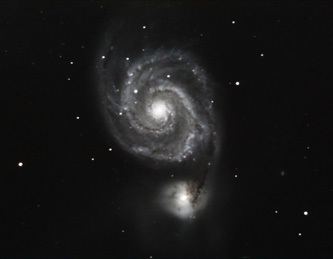 The custom built astrophotography cameras are simply superior in this respect and are also inexpensive to acquire now. I hope you enjoy browsing my site and hopefully finding ideas for some of your projects. Do you have a work flow for calibrating out the Amp Glow on the ASI174MM MMC. I have a copy of Pixinsight. Sorry, I don’t as I do not use Pixinsight.